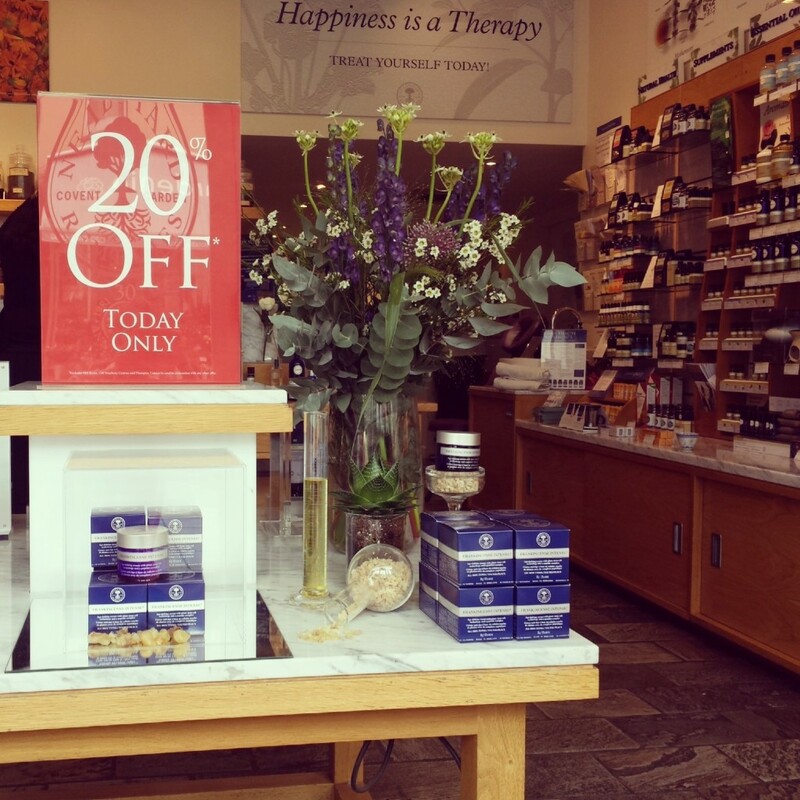 My friend, Shikha, told me about a special event at the Neal’s Yard Remedies store in Wimbledon last week. Guests were being offered a choice between a free mini-facial or organic makeover and a 20% discount on everything at the store. Shikha knew this would be right up my alley and sure enough, up the hill I went for some shopping and pampering to the Neal’s Yard Remedies in Wimbledon Village. Neal’s Yard Remedies is an organic health and beauty brand passionate about finding natural solutions to improve health and well-being. I have used a few of their products over the years and always been impressed by the contents of the signature blue bottles (specifically designed to keep light out and ingredients fresh!). The Neal’s Yard Remedies range includes skin care, shampoo, massage oils, aromatherapy, organic makeup, homeopathy, beauty oils, foods, seeds and so much more – health and beauty paradise, if you ask me! I introduced myself to the friendly staff as a food & beauty blogger so they knew why I was taking so many photos of their shop! 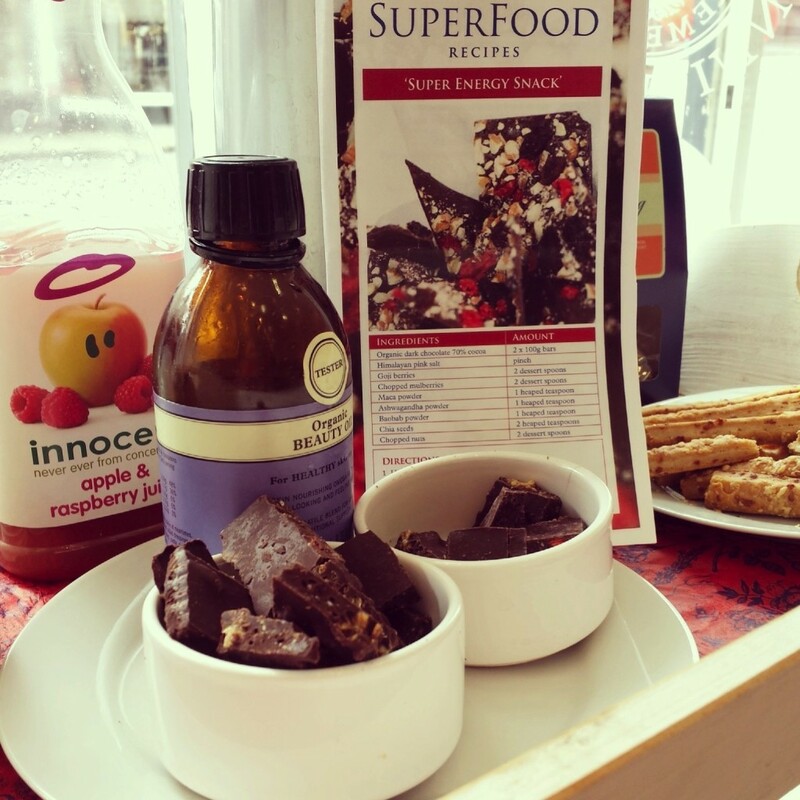 I was offered warm, herbal tea as well as a Neal’s Yard exclusive ‘super energy snack’ – dark chocolate with goji berries, mulberries, chia seeds, and other good stuff. I am sure I polished off half a bowl of the chocolate snack – it was truly, divine! 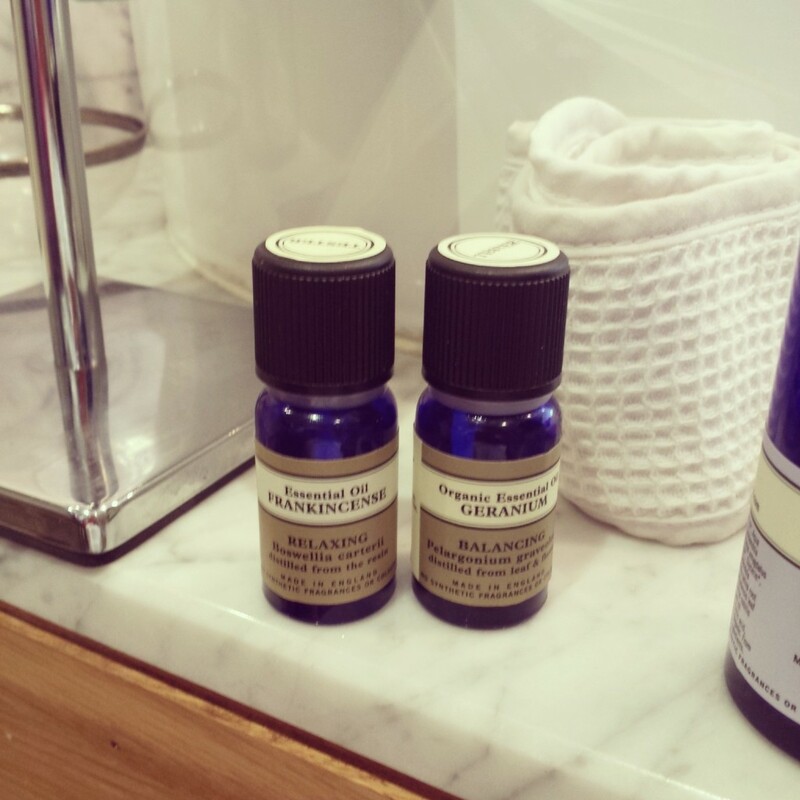 A couple of drops of geranium and frankincense oils were then added to the warm water for some aromatherapy. The consultant then proceeded to professionally cleanse, tone and massage my face using various Neal’s Yard Remedies lotions and potions. Rehydrating Rose Facial Polish – I love the fragrance of roses so it was quite easy to fall in love with this product. The facial polish is a gentle, mild exfoliator and I will definitely be getting this product in the near future. Frankincense Intense – My facial ended with Neal’s Yard Remedies newest star product made using plant stem cells and apparently, proven to improve the skin’s appearance and texture within 30 days. I obviously couldn’t tell after just one use but the cream smells great and is an excellent moisturizer. The facial massage towards the end of my mini-treatment was short but relaxing enough to send me into a slight daze. My skin felt soft, smooth and pampered and the experience definitely renewed my interested in Neal’s Yard Remedies products and therapies. I spent a few minutes after the mini-facial exploring and discovering the store and here is what I decided to buy. 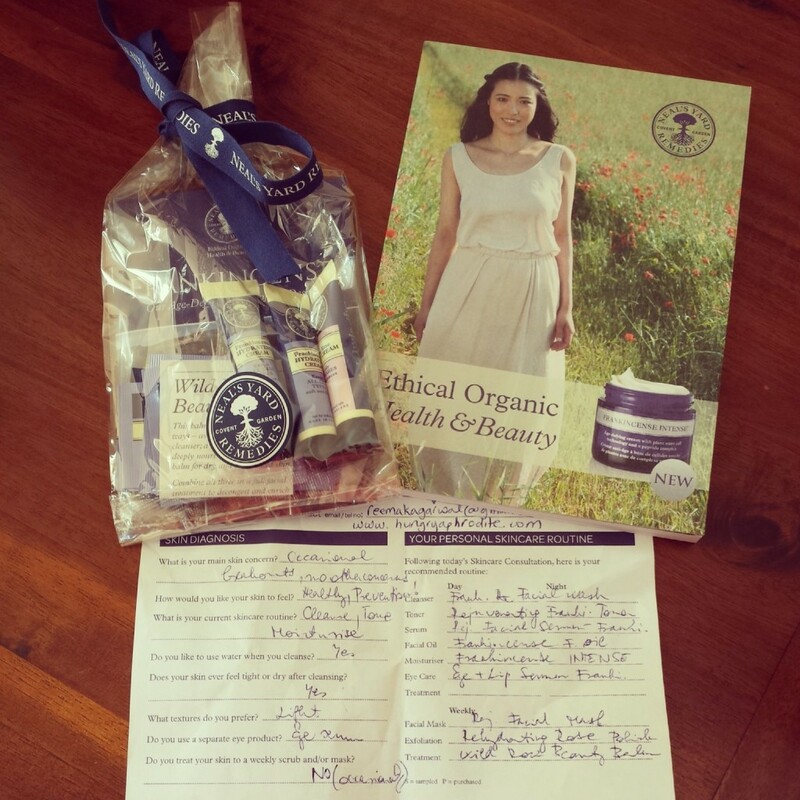 As an added bonus, Neal’s Yard Remedies sent me home with a goodie bag filled with a number of their products including the award-winning Wild Rose Beauty Balm and the Beauty Sleep Concentrate and more! 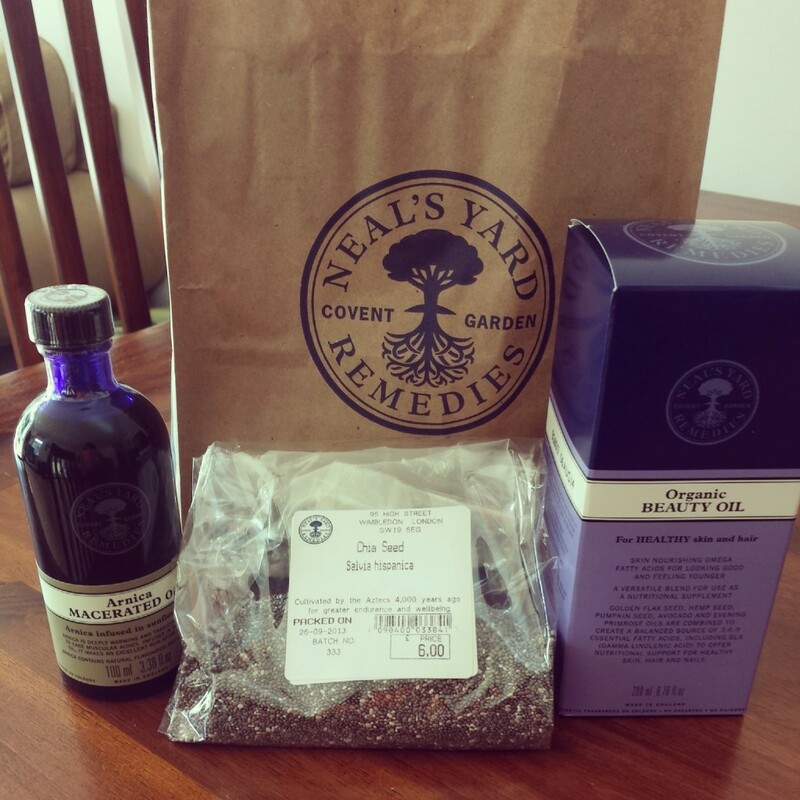 Can’t wait to try out all of my Neal’s Yard goodies and tell you all about them soon. 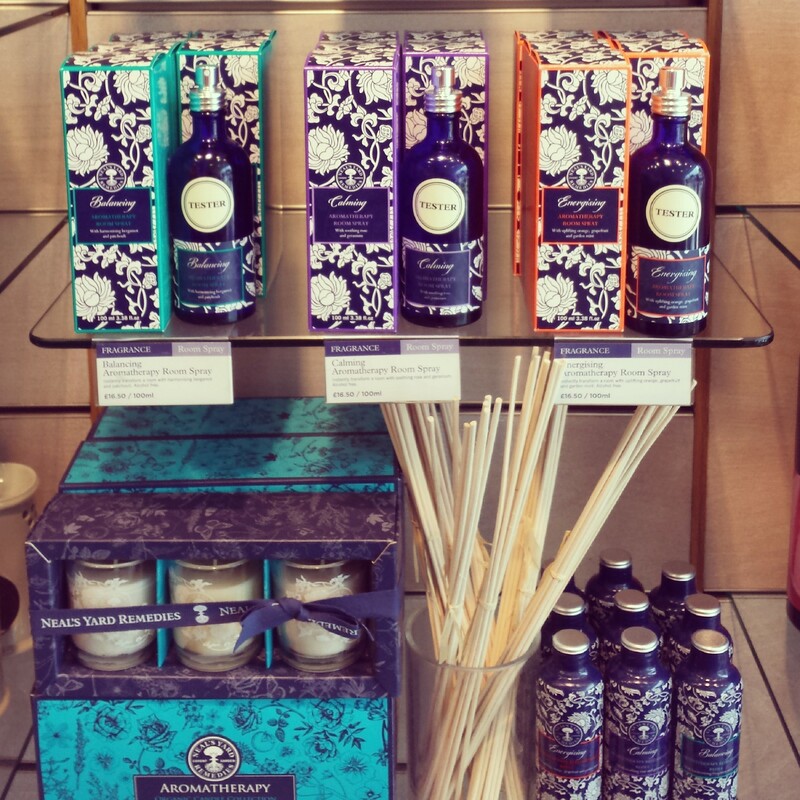 Thank you to the lovely staff at Neal’s Yard Remedies Wimbledon for being so courteous and attentive. And, thank you, Shikha, for letting me know about this event! 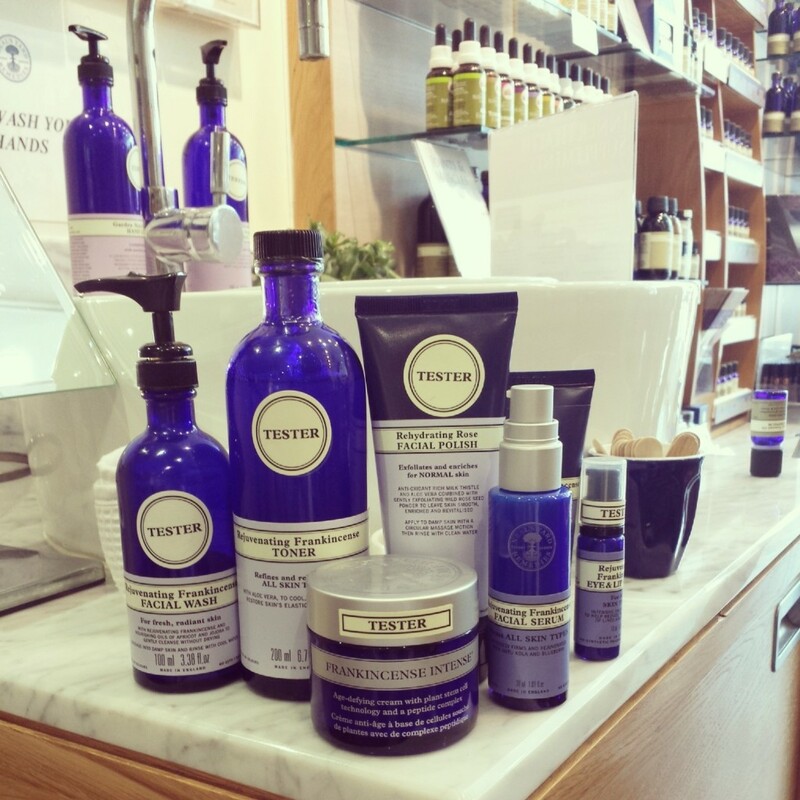 Interested in Neal’s Yard Remedies ? Have a browse on their website at www.nealsyardremedies.com or visit your nearest Neal’s Yard Remedies for a true experience! Sounds fabulous. I love the Beauty Sleep Concentrate- smells great and feels amazing too & I feel like I sleep better when I use it! This looks interesting! You have to take me there when I come to London! Thanks. Yes will take you for sure its not too far from home! This blog looks fantastic and I m truly happy that you enjoyed yourself !! Arnica oil does smell herbaceous however it is a great trooper when your muscles feel overworked and tired. glad you made it to store again and that you tried some of our essential oils. Yes, I did pop in to the store last weekend but you were on your lunch break. I got some drops of lavender oil added in and they have made a beautiful difference to the Arnica. Thank you for suggesting. Will def stop by and say hello the next time I am in the Village. Take care!